Wild Visions, Inc., video production Phoenix Arizona, is a full service, award winning, video production company specializing in High Definition (HD) video production and editing. We produce compelling stories that inspire, entertain, enlighten, and inform. 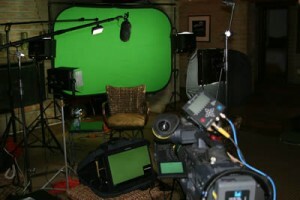 We have 25 years experience producing television productions, sports, video documentaries, interviews, interactive videos, television commercial production, infomercials, product promotion videos, public service announcements (PSA), video editing for websites, and corporate based video productions for local, national, and international clientele. Wild Visions has specialized in nature footage; wildlife and outdoor nature HD video footage and production for decades. Filming the splendor of our natural environment and the wildlife that inhabits it is a passion words can not describe. We have filmed numerous aspects of the natural world on several continents; capturing that moment in time and the behavior of many species in true hi-definition video. From the Sonoran deserts, to the rain forests of the Amazon, the plains of Africa, to the jungles of Central America, and many habitats of North America, hours upon countless hours have been spent videotaping and documenting the beauty and wonder of God’s natural world. 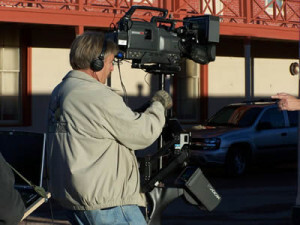 Over the years producers, corporate entities, government agencies, and individuals alike saw the versatile capability of our video production Phoenix, Arizona personnel and came to Wild Visions with a many types of projects. Often clients ask for services not related to the outdoors and we are quick to step up to the plate to provide them what they want. Flexibility is key in our business and we pride ourselves in being able to deliver an array of client’s needs. We produce corporate based videos, training videos, television commercial production, infomercials, independent production, product promotional videos, seminar videos, video editing for websites, and online videos for the internet. No video production project is too large for Wild Visions. We work with website designers to create video commercials for our client’s websites and numerous agency and regulatory bodies producing unique content on topics of conservation, youth education, wildfires, prescribed burns, habitat restoration, and preservation of our wild lands. Mike Pellegatti (video production Phoenix Arizona) is the Founder and Owner of Wild Visions. He has shot and/or produced and edited, on in house non- linear editing equipment such as Final Cut Pro, Adobe Premiere Pro, and Avid. 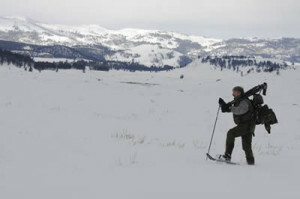 Countless hours of outdoor programming have been logged for various video and television production companies such as Bass Pro Shops, the Rocky Mountain Elk Foundation, Cabelas, Outdoor Adventure Magazine, Game Warden Journal, Outdoor Expeditions, and others. Mike’s dynamic skill sets have taken him over much of the globe in search of the elusive and challenging, and has entertained many with his ability to tell a story with the camera eye. Several of his programs have won awards for excellence in this industry. Mike has been an avid field producer and Video Cameraman for the past 25 years. 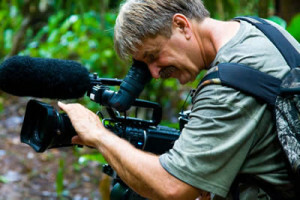 His camera work has taken him over most of North America, various countries in South America, Central America, the Caribbean, Africa, and the South Pacific for documentaries, interviews, sports, and other video productions. As a field producer/cameraman, he has also filmed adventure sports such as ultra lights, kayaking, spelunking, caving, whitewater rafting, sailing, sky diving, mountain climbing, car racing, fishing shows, etc. for the ESPN channel and various video producers. Additionally, he has filmed military training maneuvers, such as F-14′s, F-18’s, Blackhawk helicopters, USS Theodore Roosevelt aircraft carrier CVN-71, and has extensive time working with World War II fighter and bomber aircraft, both on the ground and in the air. His cameras have taken him beneath the ocean, as he is a certified scuba diver, traveling to unique places like Belize, Bahamas, Florida, Dominican Republic, New Zealand, and the Cayman Islands to shoot underwater shows. Give us a call and let the experienced professionals at Wild Visions take care of your next project. We are a one stop shop and never miss a beat. If you’re looking for experience, look no further. In the meantime, enjoy a few pictures of us in the field and in the studio.